Located in the heart of the pristine New Hampshire Valley, Lebanon boasts some of the most beautiful country in the world. Also known as the “City of Fountains”, the healthy and thriving community offers a perfect mix of quiet rural life, small town New England character, and the cultural experiences of a big city. Lebanon has a diverse business community with first rate healthcare providers like Dartmouth-Hitchcock Medical Center, Alice Peck Day Memorial Hospital, and Norris Cotton Cancer Center. There are also many high tech industrial companies and smaller family owned businesses in the area, making Lebanon is a great place to start a career or build a business. Downtown Lebanon is the cultural epicenter with popular attractions like the Lebanon Opera House, AVA Gallery, and Art Center, Lebanon Ballet School, and Upper Valley Music Center. You’ll find some excellent examples of 19th and 20th century architecture around Colburn Park. Locals enjoy the Lebanon Farmers Market, which also holds many outdoor concerts. Lebanon has active recreation programs for groups of all ages, including preschool and senior citizens. 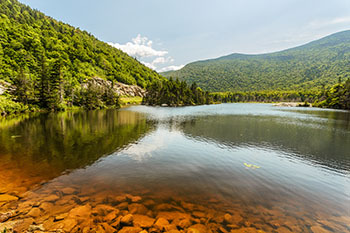 The area has over 2,000 acres of preserved conservation land and the Northern Rail Trail, Storrs Hill Ski Area, and the Carter Golf Course are popular places to go for outside activities. Lebanon residents enjoy a dynamic quality of life, excellent schools, and economic prosperity.